DC is the unidirectional flow of electricity, while AC oscillates electrical flow backward and forward at specific frequencies. A much simpler source of energy, DC is used in mostly low-voltage applications and can be obtained from an AC current or changed into an AC current through the use of either an inverter or a motor-generator set. The ability to be changed into an AC current is important because nearly all modern electric power distribution is AC. As a result, DC actuators are typically used in industries and applications such as medical, for hospital beds, dental chairs, and additional medical equipment; industrial manufacturing, for machining, automation, and construction applications; automotive, for seat positioning, electrical suspensions, and light-duty applications; and commercial and residential applications such as ventilation, home automation, food preparation, and commercial satellite tracking. 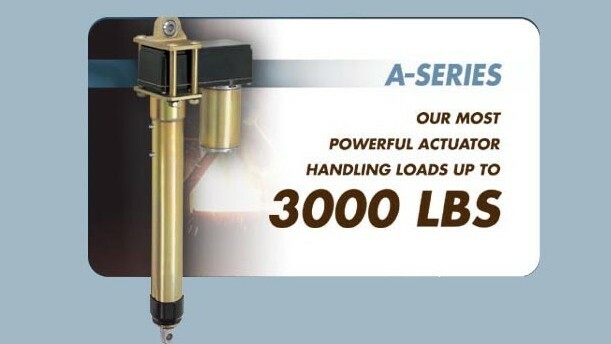 For these applications and more, DC actuators are ideal as a result of their capabilities including precision positioning, speed, and long service lives. 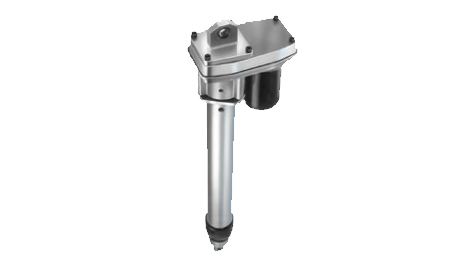 The main parts of DC actuators are a DC motor, a screw rod, and a housing made from metals such as aluminum, zinc, or steel. The DC motor can be brushed or brushless. A brushed DC motor consists of a permanent magnet stator and a wound iron-core armature, as well as a commutator with mechanical brushes. While the brushes serve to connect the power source to the armature, or a rotating coil that induces voltage from motion through a magnetic field, the brushes also cause decreased service life due to wear and tear. As a result, brushless DC motors can offer many advantages over the more traditional brushed DC motor design. Brushless DC motors consist of a permanent magnet rotor and coils that are within the stator. Instead of utilizing a mechanical commutation system, brushless DC motors use an electronically controlled commutation system. DC actuators may use ball screws or lead screws depending on the application; both types of screws can be used to translate rotational motion to linear motion. However, ball screw actuators can typically offer reduced friction. To function, the DC motor is mechanically connected to a screw so that when the motor rotates, the screw also rotates. A nut is threaded onto the non-rotating part of the screw so that the nut will not rotate. Instead of rotating, the nut will be driven along the threads of the screw in a linear movement corresponding to the screw’s rotational motion. DC actuators often utilize worm gear sets to provide the required torque needed to rotate the screw. DC Actuators DC actuators are devices that produce linear motion through conversion of electrical direct current (DC) energy to mechanical energy. DC energy is one of the two main types of energy flow, the other being alternating current (AC) energy.